A prime goal of my recent restructuring of both my collection and my horological interests going forward is to have a foundational daily rotation. Three pieces each of which could be a daily wearer in my life and circumstances for the next 5 years at a minimum. Among other things, cases are getting smaller at a rapid pace these days, so staying consistent with that is a strict requirement. 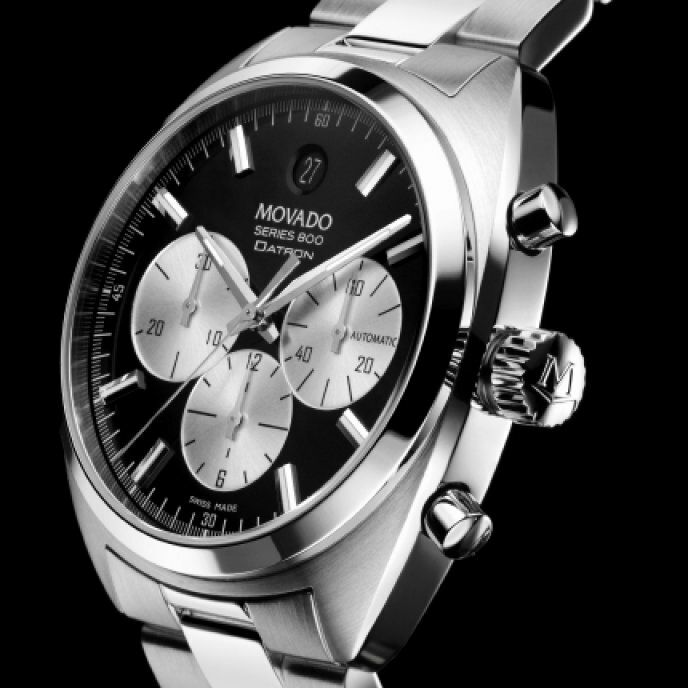 With a case size under 40mm, the watch adorns the wrist with an elegant subtlety. 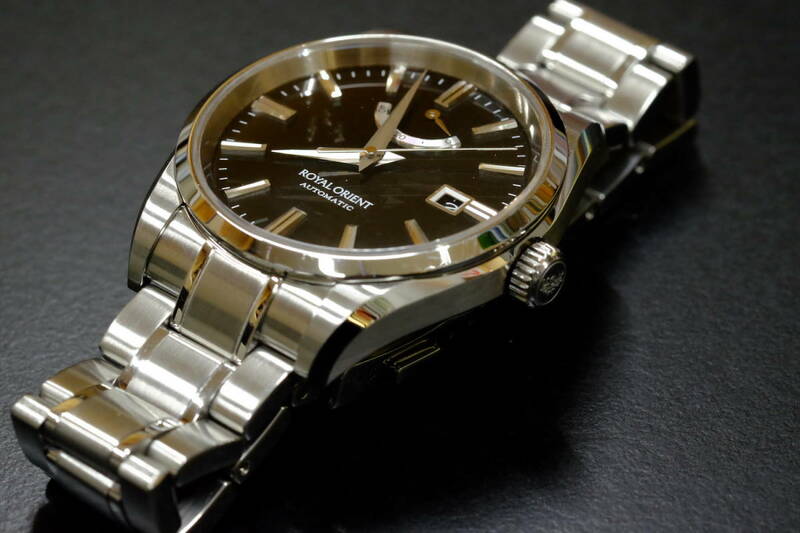 The dial makes use of Grand Seiko technology to effect a deep silver finish, giving off a radial sheen that projects a lustrous sense of depth. The slender shape of the raised indices complements the sharpness of the power reserve indicator, while the clear expanse of the dial combines with the smooth movements of Grand Seiko's original second hand. Turns out, the SBGA083/283 dial has the most steps (12) to produce of any GS dial and is reportedly a masterwork of cream dial subtlety. I have yet to see as I haven't received the piece yet. My intention is to wear it on a strap that is currently on order. Incidentally, the piece is 39mm. 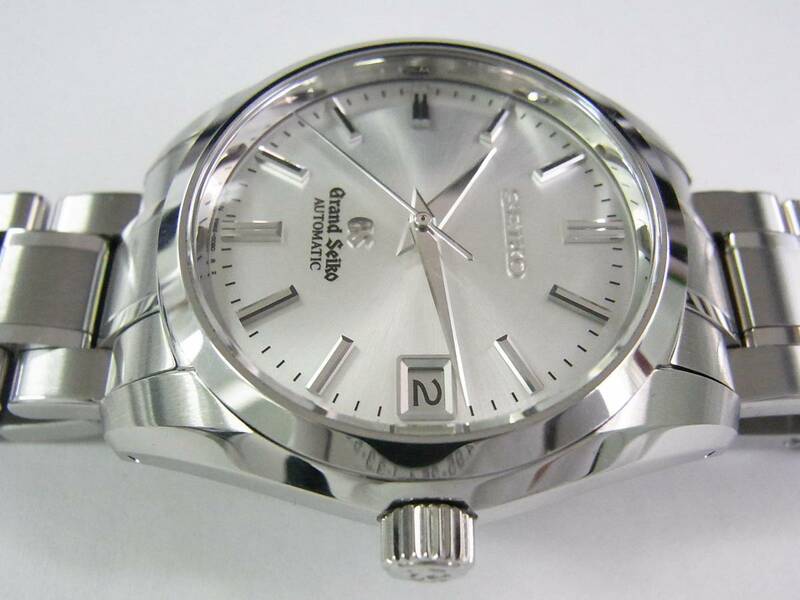 Next up, I wanted something silvery/gray, mechanical and old logo Grand Seiko. Generally, the prime goal was an old logo Grand Seiko piece for both sentimental and future collectibility and insider cool factor. Incidentally, my thought is that if picking old logo GS for old logo-ness purposes, the mechanical pieces are the best bet. Spring Drive is still very new technology and hence advancing rapidly. 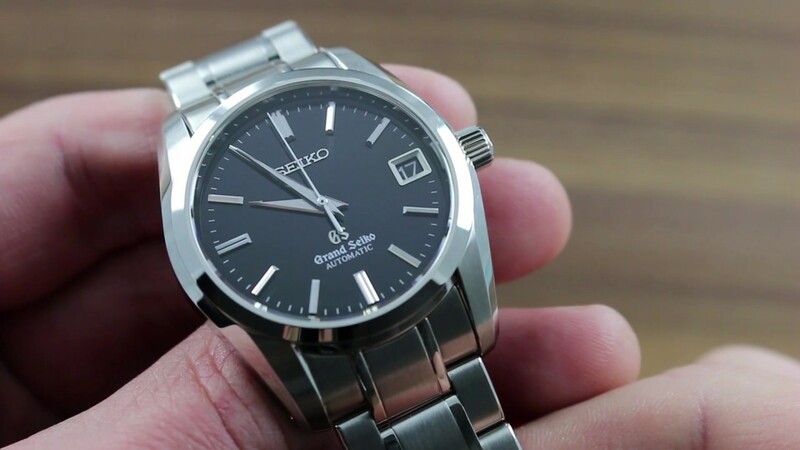 Over the next 10 years, Seiko is going to run up the score on accuracy and power reserve, who knows what else, on Spring Drive. They already did an 8 day power reserve model just to tip their hand. Quartz models are just going to keep quartzing. 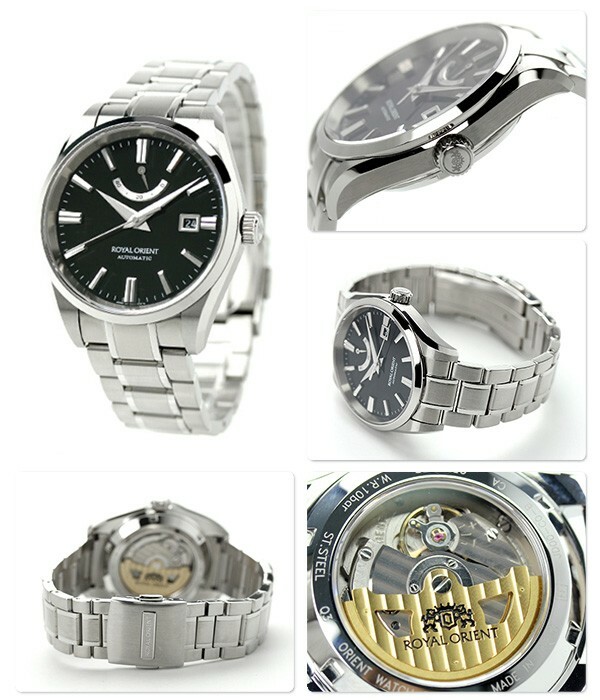 Imagine what developmental Spring Drive stuff Seiko has rolling around their internal workshops. So old logo Spring Drive is going to seem a bit rudimentary compared to Spring Drive of 5-10 years from now, IMO. Still nice stuff with a lot of cachet, but old logo mechanical pieces will have broader appeal. But then the SBGH001 came to my attention. The 9s85 movement is a giant killer in any company and the styling is pure classic GS. The dial shifts between silver, gray, milky white, plain white, and, under low lighting, of all things, a chardonnay appropriate for low lighting. But most of the time it is gray, remorselessly so, like subarctic sea, sky, and coast. At 40mm, it is pushing the boundary for case size. But among old logo GS, at least recent ones, it is rather petite. When it was introduced in 2009, a common, actually, quite consistent criticism was that it was rather small. 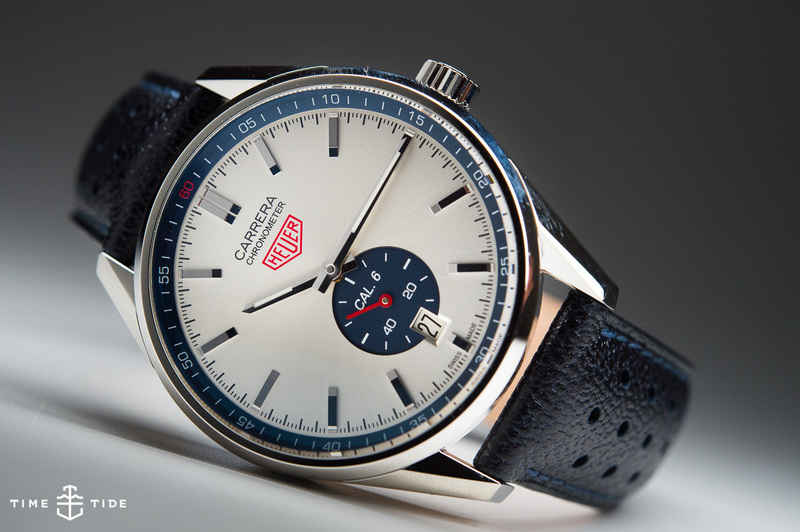 Hence, in the small case era, it is going to be a wearable classic, eventually vintage, where a lot of those 41/42mm dress watches are going to seem rather klunky. Good time to be getting out of Snowflakes, IMO, if one has any intentions along those lines. Trade it in on a SBGH001, which is the recent old logo GS to have if you have to have only one. Nice thing about old logo, if someone asks about your watch, if you don't feel like blathering on about watches, you can always say, "Its just a Seiko" and move on. Or do the opposite and extol the virtues of this otherwise rather average looking dad watch. It is a killer piece, jumped out of the box and attached itself to my wrist like one of those face planting things in Aliens. I will add that I have never liked blued hands but the blued second hand does work for me very well on this piece, first time I can say that about a watch. But honestly, at this point things are getting heavily old logo GS and GS in general. 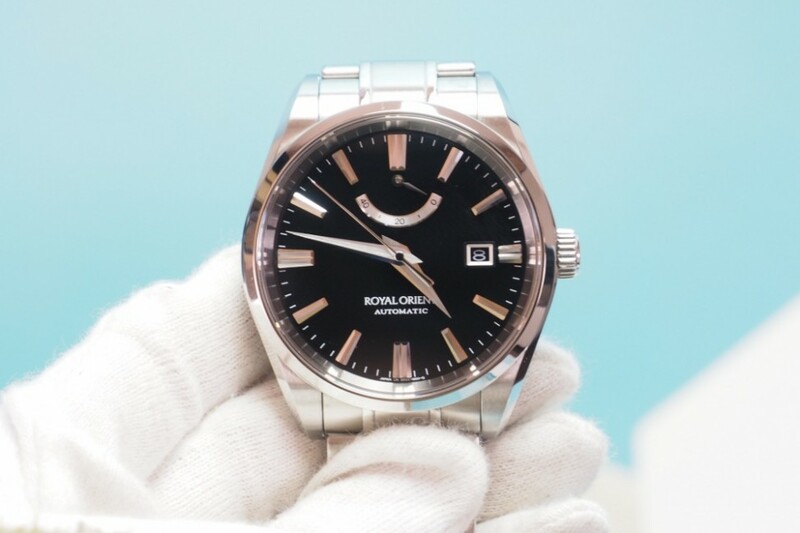 And 37mm black dial, with the case shape it has, etc, why not just get a Rollie Explorer? 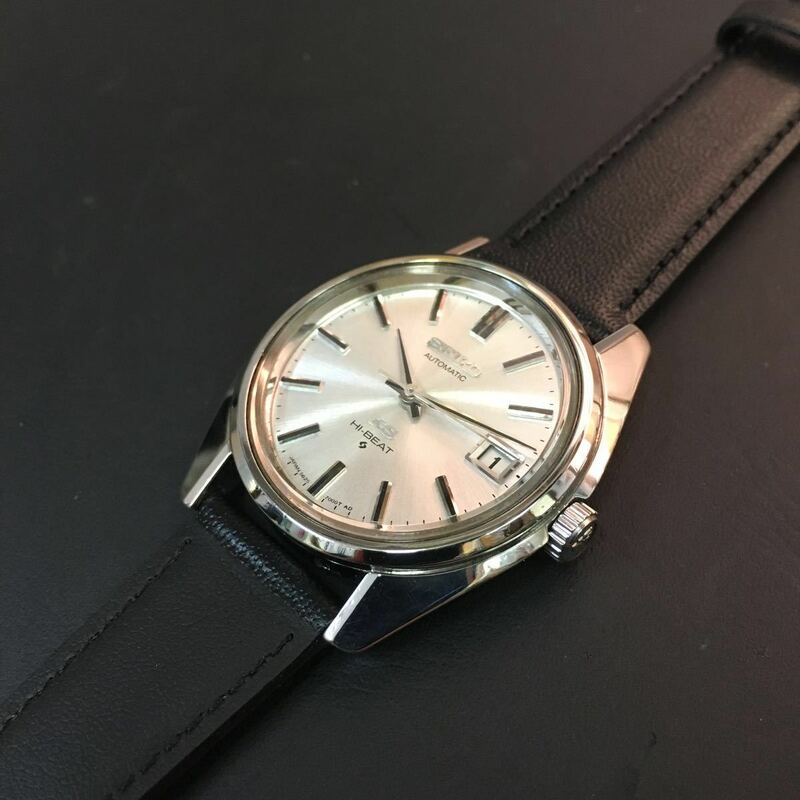 So I thought, ok, how about a SARB033? Definitely a nice black dialed sub 40mm watch and it isn't like there is any shortage of them. So I bought one from some dude in Hong Kong who apparently has a warehouse full of them factory fresh. It is still sitting in unopened plastic outer bag. I'm probably going to sell it to one of you guys for what I paid for it. 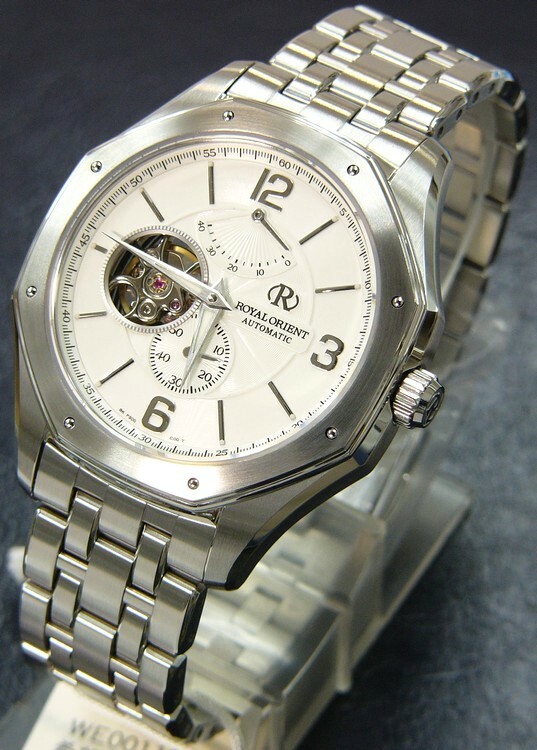 But it was OT, a silver dial and my strict rotation needs a black dial to go with silver/gray and cream. One day, I will find an excuse to buy one of those Tags, loved them since the first time I saw one in the Tag Heuer boutique in Shinsaibashi. But a chrono is an oddity and I'd like the rotation to all have the same/similar complications. 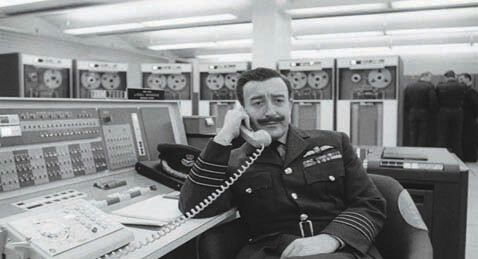 And I don't need a chrono in my day to day life, so it is a bit of an affectation. Fine for an occasional wearer, but not a daily wearer. Again, what do I need a chrono for. So I'm going back and forth, and then I remember good old Royal Orient, Royal Orient Star, Orient Star Royal, they changed the name around over the years. 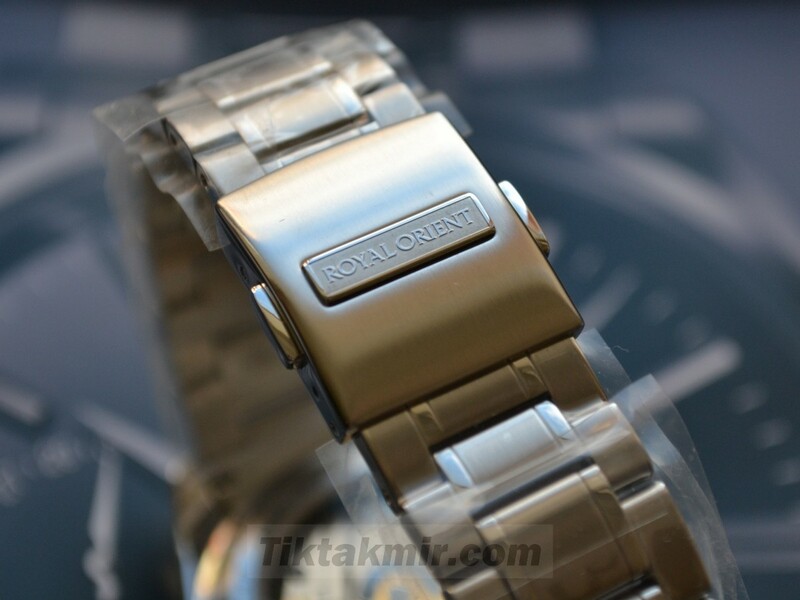 Orient also seemed to have dropped the line sometime the past few years. 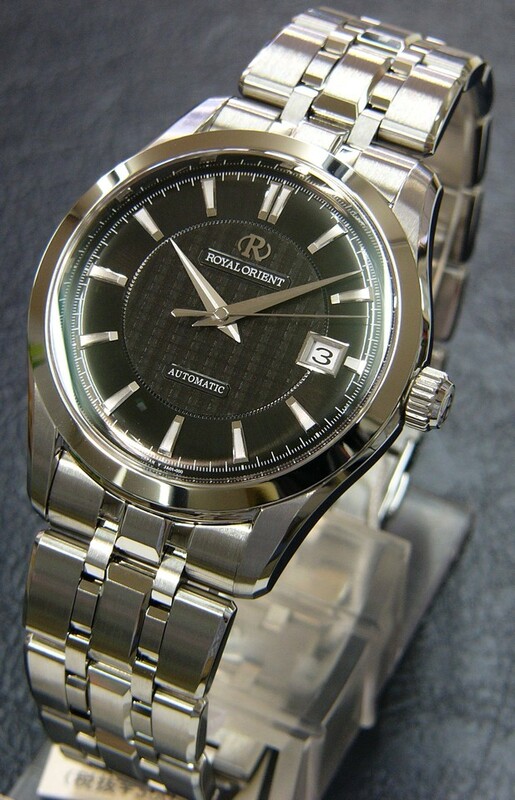 But their last few years, they were doing some super salaryman watches a la GS and small cased. So I looked at a few. But at the end of the day, just a little meh for me. I handled them when they were available, and the difference between an Orient Star and an Orient Star Royal didn't seem all that much. But honestly, just not enough Royal, too much Orient Star. And I think Orient made a distinction between Orient Star Royal, which was a model line inside Orient Star and Royal Orient. 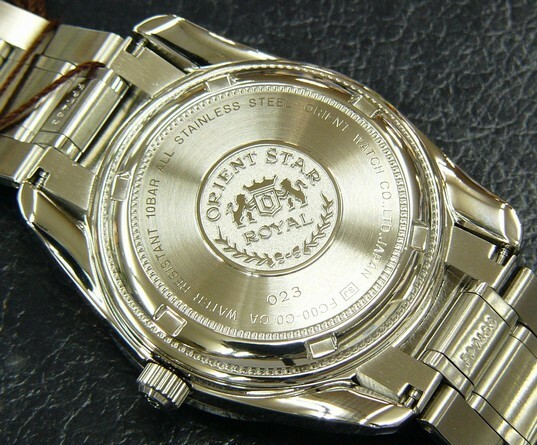 For one, Orient Star Royal use Orient Star logo, recent Royal Orients did not. And, the recent Royal Orients I handled had a noticeably higher degree of finish and niceness than the Orient Star Royals. One black dialed model one still sees around is WE0011EK. The WE* Royal Orients went for lots more than WZ* ones. WZ* is a very common plain old Orient Star reference, maybe showing the commonality there. But the logo and numbers, just too much for me, I'm wanting minimalism. Overall, the piece is a bit too baroque for me. Some translated Japanese on Royal Orient (as opposed to Orient Star Royal). 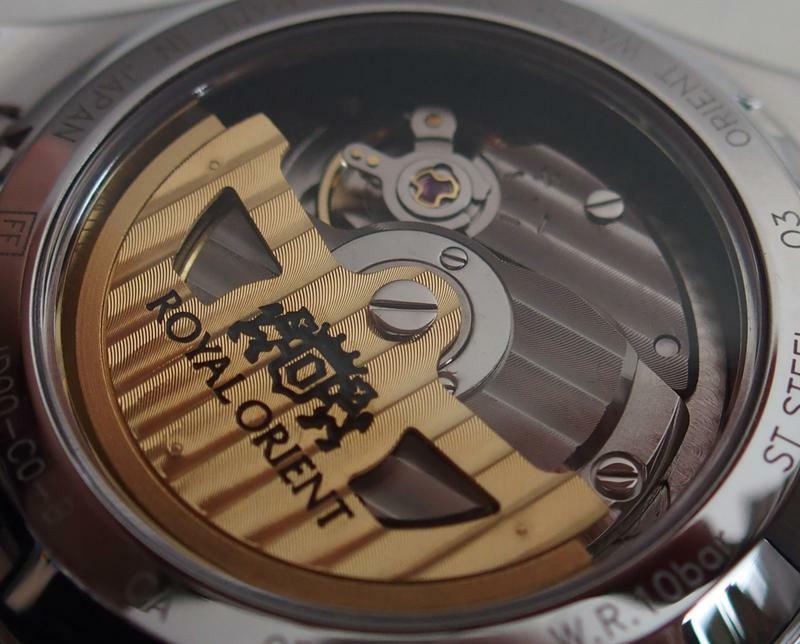 ROYAL ORIENT is the highest-ranking brand that Orient watch boasts, with the theme of "Watch that felt human warmth" and "Watch that you can use forever". Elegant design, excellent quality are carefully produced one by one by skilled hand craftsmen. 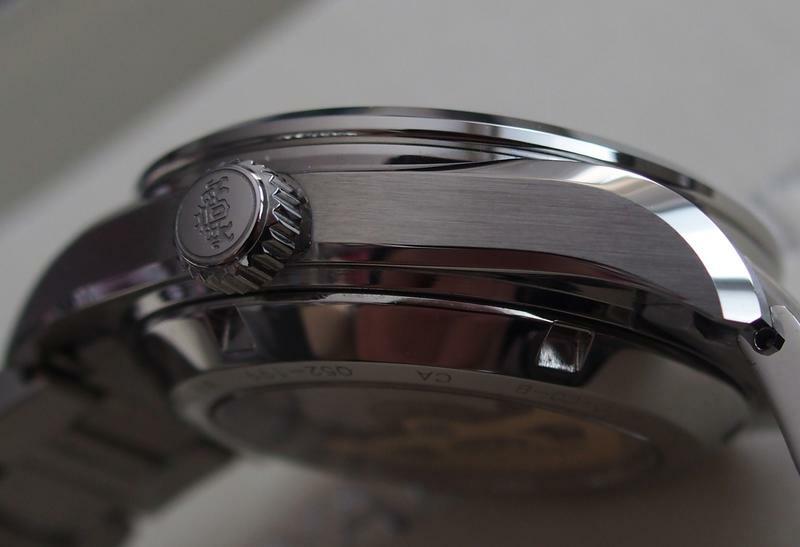 The case which gives a powerful and elegant impression is a royal easy to apply the zaratsu polishing (a polishing method that requires skilled skill to polish the case by applying it at a certain angle to the polishing rotating disk) that was repeatedly studied with the designer It is designed exclusively for Orient. I finished it as a model that is suitable for the highest peak of Orient, which makes it possible to feel the seriousness and polite manufacturing of Japanese craftsmen in every part. The end piece is a tightly polished two-body structure. A metal band made with care using the back side and invisible fitting part combines the good touch and sharp glow. It is 40mm, but again, being future classic/vintage, heck, there are no Royal Orients being made now even, like the SBGH001, it is ok. I distinctly remember handling one of these about 5 years ago when Yodobashi was selling them for approximately 2k USD. 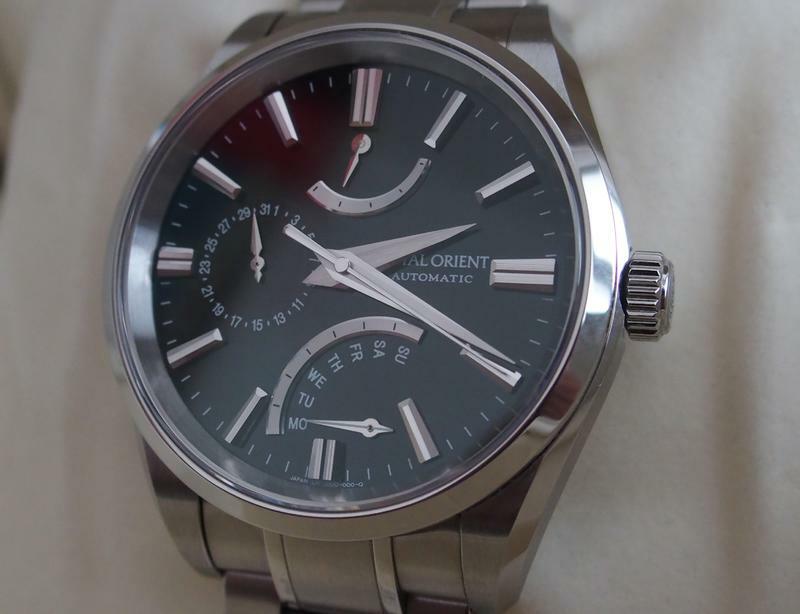 My thought then was Orient was going full GS with the finishing, it was just as impressive as Grand Seiko. The dial is quite large on the case, fwiw. But I was very, very impressed, which is why I still remember it 5 years later. And the line disappeared after that, pretty much. Maybe they decided that competing directly against GS was not where they wanted to go. But this was the most GS-like Orient I ever handled in both finish and styling. I figure there must be collector interest in this model because they are still going for pretty good prices. Minty ones go for ~2k USD, meh ones around 1.3k USD. I found two new examples, one at 3k, another at 5k, so again, clearly collector interest, at least in Japan market. I'd also note that both the SBGA283 and SBGH001 have been purchased new from GS AD, under warranty, all that. For my rotation, I wanted pieces either brand new or with service history, not some orphan that has been floating around who knows where. Yeah, nobody ever worries about that stuff, but this is, like, my rotation, man. I could almost see paying the 3k for brand new, but fortunately came across one purchased in 2016 with overhaul/maintenance in 2018 and has been sitting wrapped ever since. Higher end orients, they give you a free service at two years, although almost nobody takes them up on this. This service includes a case refinishing, so a refresh on the the zaratsu by manufacturer is pretty legit. So this closes out a cycle for me. I've still got a few pieces to move, but that's all about where the collection has been. These three are the cornerstone of what I'm going to be wearing the next few years. I've still got a lot of collector interest stuff around and incoming, I think I'm going to start playing around with old King Seiko and Lord Marvel stuff, a lot of potential there. My thought is Seiko will eventually revive those brands, incidentally. And a Royal Orient as my bad boy black dialer. Royal Orient, and Orient in general, is Pachinko Parlor Japan. Just a side of Japan that is so normal to residents they don't even notice it but something foreigners have never seen before in their lives. 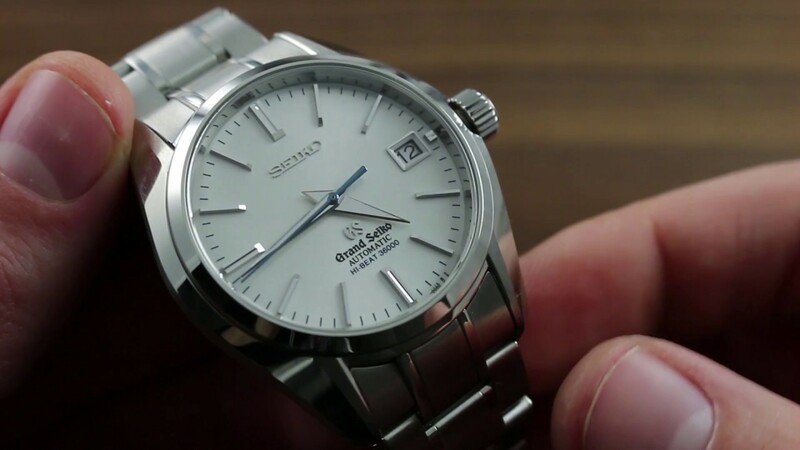 This model, despite its minimalism, retains a bit of characteristic Orient whimsy - Seiko lets Orient make all the jokes. The indices, hands, and dial are all slightly overlarge, slightly overdone for a plain salaryman special. Maybe a watch you'd see in Who Framed Roger Rabbit? Last edited by robatsu on February 4th 2019, 3:03am, edited 6 times in total. This is amazing, Congrats. The thought and knowledge going into your collection is staggering to me. robatsu wrote: But most of the time it is gray, remorselessly so, like subarctic sea, sky, and coast. Bravo! I've seen, perhaps, half a dozen pictures of Royal Orients at various fora. I call dibs on that sumbitch. conjurer wrote: Bravo! I've seen, perhaps, half a dozen pictures of Royal Orients at various fora. I call dibs on that sumbitch. Personally, I think it is the best looking Royal Orient. as opposed to Orient Star Royal, which, upon further research, was sorta morphed into Royal Orient for a few years before the line was dropped. 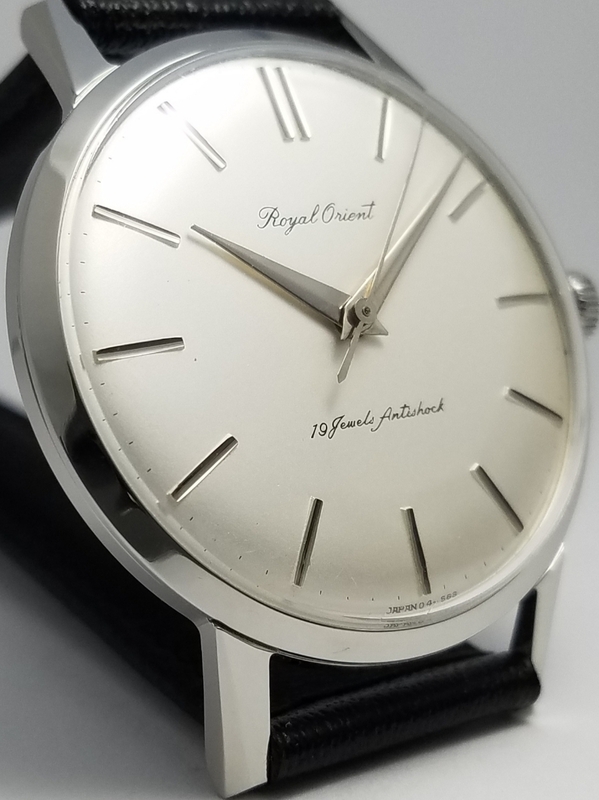 I say sorta, because it seems like some Orient Star Royal models, with standard OS logo, were released concurrently with Royal Orient models. But clearly, after research, Orient wanted Royal Orient above Orient Star Royal. You can see how they tried to morph the OS logo into a RO logo. On the JA, you can really see the R inside the O. On the follow on JB, that morphs to where the OS logo relationship seems not obvious and starts looking like a crown. Wisely, they decided to drop the logo efforts, quit while they were ahead, on the WE0031/41EK, the black and cream models as well as the posh euro salon cues. And never made any more. AFAIK, the black one I got and the cream variant were the last Royal Orients made, I don't recall seeing any more thereafter. The hi-beat models seem to have something of a following, albeit a minor one. The 40M51 in the WE0031EK, by contrast, is pretty mundane. But that didn't matter in my rotation, what with a Spring Drive and hai biito 9s85, plenty of movement chewy goodness there. Those are tough acts to follow, so why bother. 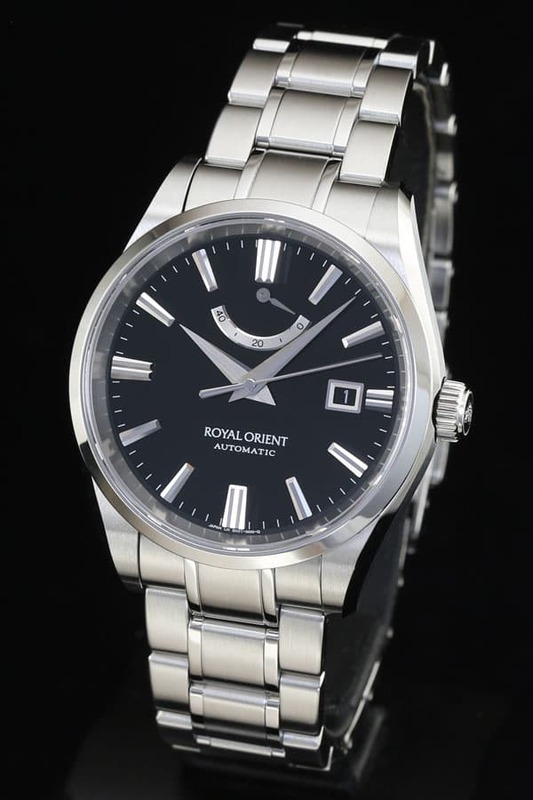 Orient never exceeded its parent Seiko in movements, not a strength of the brand. As for being a little offbeat, as opposed to high beat, well, that is where Orient always shined and the WE0031EK captures that perfectly and subtly within an overall framework of consistency to Seiko's grammar of design. Anyhow, Conj, I knew you'd like this one. And jumped on it. I figure that there are, probably, only a small handful of these in North America, and it's probably as close to a RO as I'm going to get. IMO, Orient did a better job with the Orient Star Royals than the Royal Orients. More attractive, etc. Seems like the Royal Orient line never really found its groove, wasting time screwing around with clever logos, although the last model like mine seemed like it was getting dialed in. They finally just rolled with standard Orient logo as crown sig, weary of the struggle for a suitable RO logo. 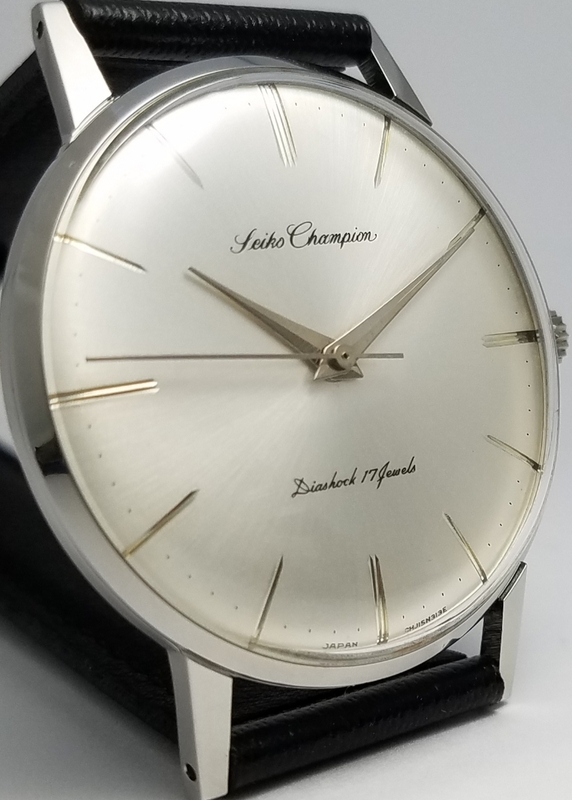 So while this last series wasn't fou-fou hi-beat 88*** Orient movement, the movements they did use have 3 prong jewel retainer clips found on higher end Seiko movements as opposed to the two prong ones on lower movements. For example, 6s chronos use three prongers, 8r two prongers. 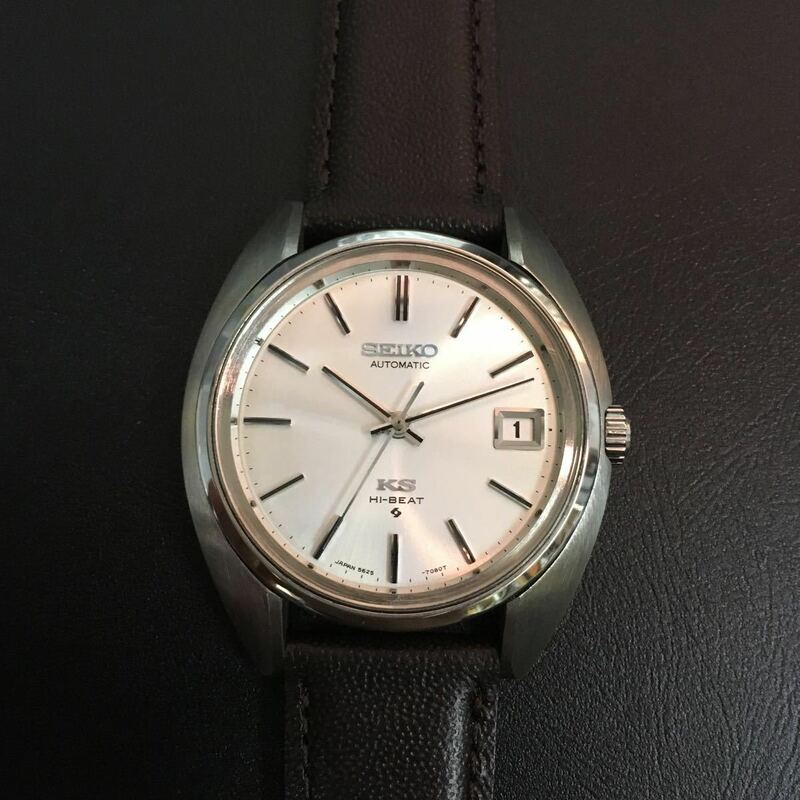 So despite the flak that 40M51 in WE0031EK like mine and whatever is in the corollary retrogrades gets for being mundane, they have that evidence of Seiko fine movement. I also like how the decoration was done on the Orient movement. Usually movement decoration seems to have little connection to overall design of the watch but in these, the decoration is consistent with the overall styling of the watch. Really, best Royal Orients ever, the black and cream three handers like mine and the similar retrogrades. These are not particularly uncommon on Japanese sites. There is the cream variant of mine up on Yahoo Auctions right now. It just got up today, is at $500 USD at the time of this writing. 35 bids already, so lots of interested parties. No collector kit, just a bare watch. Looks like someone got it as a prize as "Festival Asahi Kojochi" is engraved on the caseback. And an excellent one for about 1.6k USD back in November. Overall, I'd say the cream WE0041EK goes for 10-20 percent less than the black WE0031EK. Looks like both pop up every month or two. So plenty of opportunity to own this one. Last edited by robatsu on February 4th 2019, 3:04am, edited 5 times in total. There's a brand new WE0041EK on the Bay for $4.3K Thunder. FWIW, I add about 20% to the closing prices of Japanese auctions for auction, proxy, and shipping fees. It is actually somewhat less than that, but a good conservative shorthand for figuring final costs, as 10% is rather light. Like TB's, a collection w/ much organizational purpose behind it...quite impressive..
Ok, so I've been mulling over things. Its where my collecting interest is going, this old auto pre-quartz crisis stuff. Back when a watch was just a watch, no such thing as beaters, e.g. Simpler times, one supposes. Anyhow, I've been identifying a vendor or two whose work/product is something I'm going to be able to trust and this is my first piece from one cat I think has great promise. Keeping great time, ~+2 sec/day, etc, etc, like a new watch. Replacement crystal I'm presuming, worshiping wabi-sabi on old Seikos is definitely a foreigner thing. Scratches on almost anything are a very hard sell in Japan. Hence all the buff jobs on vintage watches in Japan that horrify people here. But better if you don't have to do too much to begin with. So I get this, it is mint, wearing it yesterday, my kid gets back from high school, I say, "Hey, look what came it today", and just quickly flashed him my wrist. He's got great taste, but is also pretty blase about Dad's new watches, happens a lot in his world. And he says, "Is it a Rolex?" Which is something he doesn't say, can't remember him saying that before. So I asked, does it really look that good and refined at a quick glance, and he said it did. The SGBH001 dial has a lot of similarity, so much so my son feels they look the same such that he doesn't a have a preference. I spent some time driving around the coastal range yesterday, it is a good place to look at watch dials because of the continually shifting conditions of light. Sun, rain, mist, fog, cycles every couple of hours usually. Generally, the SGBH001 seems about the same except one shade grayer. The SGBH001 could occasionally go no kidding flat battleship gray in a way the 5625 couldn't. OTOH, the 5625 could do a purer silver look and a little more blush in the low light chardonnay look. I would say 5625 is more readable in low light. 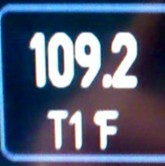 Those black lines with indices/hands stand out against any light at night which lights up the dial all silvery. Pretty cool, makes it almost look like a lume dial at times. It is worth getting one of these mint so you aren't looking at it through the patina of time. Just looks too much the same. Or honestly, which would I rather wear every day just on their merits? Assuming a good overhaul/mechanics, I'm totally coolio with 5625-7080 as a daily wearer in the rotation. Or maybe the SGBH001 slot becomes the vintage/collector slot for stuff like this. But I gotta say, there is a case for this one as daily wearer if the operation is up to snuff. I always ignored this stuff in my Japan ambles, old KS was practically being used for gravel in parking lots. You'd see random heaps of these things in the back of old junk shops, ungraded, just old scratched up junk that nobody wanted. But the interest in the KS stuff is ticking up, nice stuff and old GS has become entirely collector economics. Some of the KS still, well, you can get a very nice <1k watch, which is way on the high end of 56ks prices, so it will be refurbed completely, guaranteed, for whatever that is worth, and so forth. And it is keeping super time. I've got a couple more coming from this dude, he seems to be very consistent in how and what he sells. It will be interesting having a few watches that are the same only different. To a casual observer, I'm wearing the same watch every day. That is an interesting rotation in itself. And its looking like the SBGH001 is getting kicked off the island. Superlative piece, for sure, but too much overlap with vintage KS. I'm going to be interested in seeing that Royal Orient IRL again. It kind of has the same alluring black dial vibe as the SAGK003, IIRC. Or maybe if you dropped Jim Carey's "Mask" on a Seiko SARB033 or GS SBGR053. Just a little out there, Orient is like that. That 58 Seiko is sublime. Racer-X wrote: That 58 Seiko is sublime. There is tons of this stuff in Japan. This line really nailed it in the Pink Dial category, in the same way the SARB037 did for the SARB line. Really looking forward to this one, hope it is all that.